Lee Felsenstein (b. 1945 in Philadelphia) is an American computer engineer who played a significant role in the development of the personal computer, designing two important machines—Sol-20 and Osborne 1 (one of the first portable computers), as well as another computer hardware. In November 1975, the electronics engineer Robert M. (Bob) Marsh, who had just founded his own company, Processor Technology in Berkeley, California (to produce ROM, RAM, and I/O cards for the Altair), and Leslie (Les) Solomon (technical editor of Popular Electronics magazine) discussed the just emerged concept of the personal computer. The famous Altair 8800 was just presented (in the January 1975 issue of the Popular Electronics) and seemed to be very profitable, although it had a small amount of memory and its programming was an extremely tedious process, as a keyboard wasn't provided. 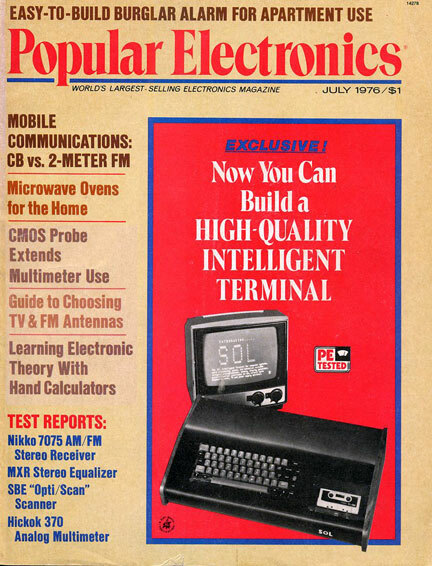 Solomon agreed to carry a construction article on an intelligent terminal on the cover of the magazine, if a working model could be supplied in thirty days. The work on project started immediately in Processor Technology, and Marsh ask for advice his friend Lee Felsenstein, whose workshop was in the same room as his. 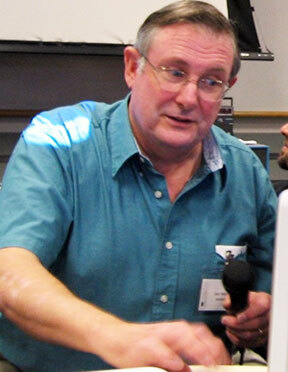 Lee Felsenstein, a BSc in electrical engineering at University of California, Berkeley, (1972), and a friend of Marsh from the University (Marsh was alumnus of class of '68) and Homebrew Computer Club (an early computer hobbyist users' group in Silicon Valley, CA), already worked for Processor Technology on the project for building a plug-in video terminal board for Altair. He became the main designer of Sol-20, working in the cooperation of Marsh himself (who designed the power supply and the audio cassette interface) and Gordon French (project manager and mechanical designer). As the design progressed, the team realized that they were building a general-purpose computer rather than just an intelligent terminal, but the decision was made to soft-pedal the fact until the last possible moment. Once published, all the fuss possible was to be made about its general-purpose nature; but until it actually saw print, it was to be treated first as a terminal. A friend of Marsh could supply walnut side panels for the case, and if the computer was designed low enough, they can use center-cut pieces of wood, which were ordinarily almost thrown away, thus were almost free to get. The height problem was solved by mounting the expansion boards horizontally rather than vertically (see the lower image). 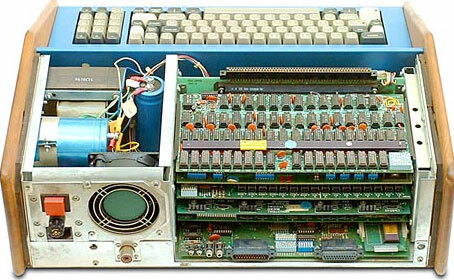 With only room in the case for five boards, most of the computer functions, including the processor, video, I/O ports, and cassette interface, were mounted on a single large board positioned on the bottom of the case. When the prototype machine was completed, Marsh and Felsenstein headed for New York to demonstrate it to Les Solomon. The demonstration in the offices of Electronics was successful, in spite of the fact that when the computer was initially turned on, it did not work. Murphy's Law confirmed! Felsenstein needed almost a whole day to trace the trouble to a wire, damaged during the transportation to New York. The machine had been named The SOL after the biblical king Solomon when Felsenstein proposed: "Let's advertise it as having the wisdom of Solomon". The computer was launched to the market in June and was presented in the July 1976 issue of the Popular Electronics. The article in Popular Electronics offered a kit version (just like Altair and Imsai computers) at a very low price ($995) and free schematics to all who asked. Processor Technology was soon deluged with orders, and it took almost a year to fulfil them. 1. Sol-PC has a single circuit board without a case or power supply. It was sold as a $475 kit, which was assembled by the purchaser, or fully assembled for $745. 2. Sol-10 was a Sol-PC as the motherboard, but include a case, keyboard and power supply. 3. Sol-20 was the same as Sol-10, but include a vertical expansion backplane, enhanced keyboard, a bigger power supply, and cost about $200 more. 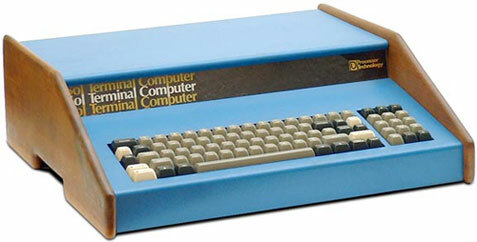 The full working version of Sol-20 ($2129) was introduced in August 1976 at the Personal Computing Show in Atlantic City and it became the hit of the show. SOL-20 became known as the most reliable machine on the market for the time. By 1977, it was the dominant personal computer in the industry. It was in production until 1979, as about 10000 of them were produced (some 5000 as kits, some 5000 as pre-builts), when it has been had replaced by the legendary Apple ][ as leader of the industry. The processor of Sol-20 was Intel 8080, working at 2 MHz. Internal memory: RAM 1KB up to 64KB max, ROM 1 or 2KB, 1KB video. Display: 64×16 text. External storage: cassette tape, 5.25" and 8" disk. Parallel and serial I/O, 5 expansion S-100 slots on the main board. OS options: CP/M, BASIC, NorthStar DOS and a variety of others. See The System Manual of SOL-20. Sol-20 was one of the earliest to include a keyboard interface and support circuitry for full implementation of every 8080 function. It was a pioneer towards modern video output boards by having a design that actually put up alphanumeric characters on the screen, using a form of distributed processing that didn't lean on the CPU for all processing.